This post was written by Hatchet reporter Santiago Mendoza. It was 20 years ago that a trio of soulful, hip-hop dominating women launched TLC. 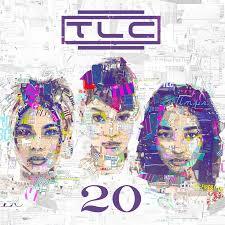 Eleven years after the release of their last studio album “3D,” TLC has produced their 20 year anniversary album “20,” featuring all the best tracks from their discography. The compiled release serves as an opportunity to remember what members Lisa Lopes, Tionne Watkins and Rozonda Thomas brought to music, through R&B, hip-hop and soul. The compilation of tracks feel nostalgic, fully representing the legacy and repertoire of the group’s best hits. Its best features are the same hits from a decade ago, but it doesn’t hinder the album. Compilations should remind us of the mastery behind the artist’s entire catalog, and “20” masters that. The album is a brief, refreshing glimpse at the gradual evolution of the group. The first four tracks harken back to TLC’s largely overlooked underground hip-hop roots. “Ain’t 2 Proud 2 Beg” is a raunchy anthem reflective of the Salt-N-Pepa style of self-satisfaction that is surprisingly empowering, while “Hat 2 Da Back” resonates the classic hip-hop vibe of the early 90’s, showing off member Lisa “Left Eye” Lopes’ rapping capabilities. The next set of tracks, like “Red Light Special” and “Creep,” demonstrate the huge shift in style TLC made away from hip-hop in 1993 and towards the smooth and sensual R&B genre. Classics like “Waterfalls” and “No Scrubs” are the obvious staples of the album, where the sassy, anthem-like lyrics and fierce back beats encapsulate what the group sounds like at their best. The Ne-Yo-produced final track of the album, “Meant to Be,” doesn’t necessarily display any new or groundbreaking material from TLC — it’s still the same synthetic catchy background beat to harmonious vocals and catchy lyrics — but it reflects the same sentiment of the album: that even after a decade and the unfortunate and untimely death of group member Lisa Lopes, TLC still remains relevant and important to the new generation of artists trying to constantly re-revolutionize the music industry, something TLC did seemingly easily and relatively unnoticed. The Good: All the group’s greatest hits compiled into one album makes for easy listening for fans while showing TLC-newbies why the trio’s work was so loved and respected. The Bad: The scope for “greatest hits” albums are limited. It would have been nice to see new material, but it’s also understandably unrealistic.